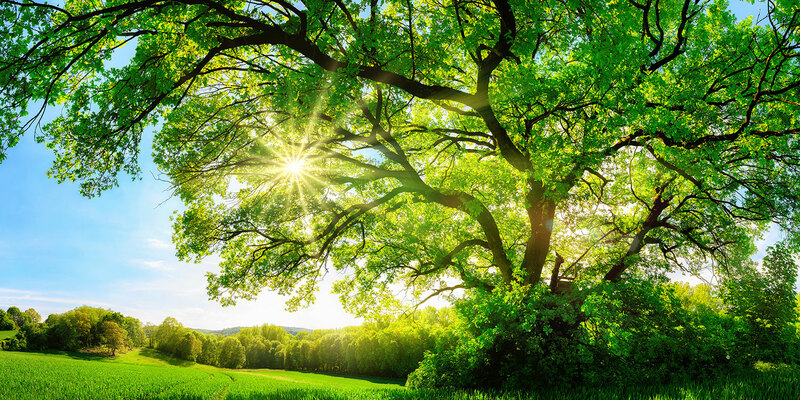 Sustainability, energy saving, CO2 balance, conservation of resources and much more are terms and requirements that we encounter and increasingly deal with on a daily basis. It is becoming increasingly important not only to implement suitable measures consistently, but also to document and publish what has been achieved and what goals are set for the future. 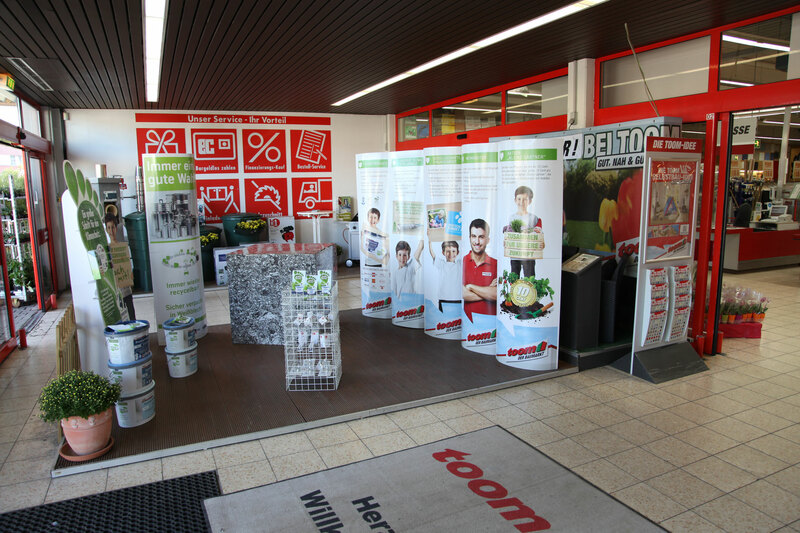 The HUBER Packaging Group has been making exemplary progress here for a long time, for economic and ecological reasons. Individual measures will be introduced here in detail. Sustainability week with toom Baumarkt. 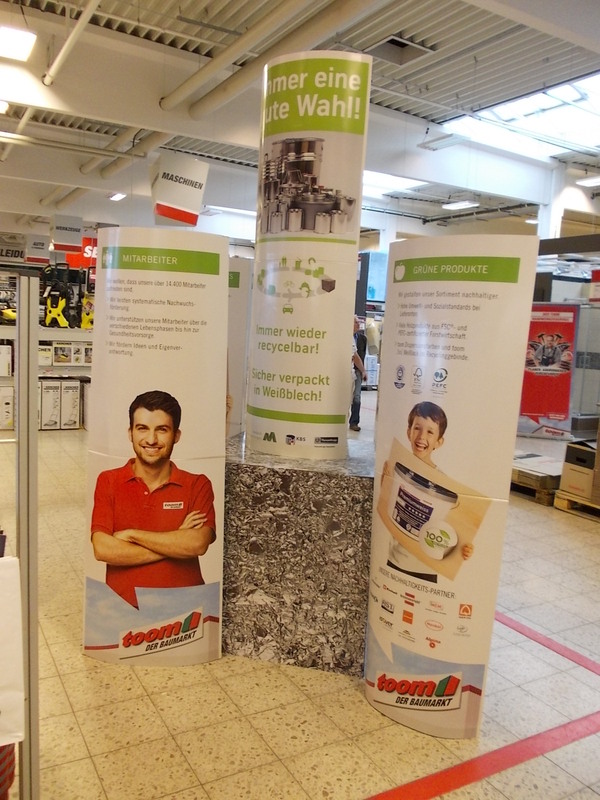 The Association of Metal Packaging, Kreislaufsystem Blechverpackungen Stahl GmbH and ThyssenKrupp Rasselstein in cooperation with toom Baumarkt have drawn attention to the advantages of recycling tinplate packaging for DIY products. As part of a sustainability week from 12 to 17 August, 2013 informative assemblies presented the topic "resource conservation through recycling" in the Germany-wide approximately 320 toom DIY stores. Painting, varnishing, renovation - anyone who swivels their own brushes at home will find varnishes, enamel paints, adhesives or protective glazes in various sizes and packaging at the hardware store. Consumers who want to do something for the environment at the time of purchase have made a good choice with tinplate packaging. 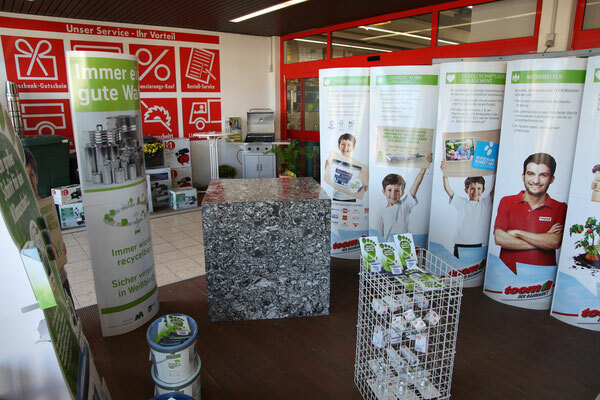 No other material packs everything that needs special protection so safely and at the same time can be recycled so well. Because tinplate is 100 percent recyclable - infinitely often and without quality loss. The reason: tinplate is made of steel and can always be remodeled into different steel utensils. So used paint cans can be a car, a bicycle or even a tinplate canister for wood preservation glaze. 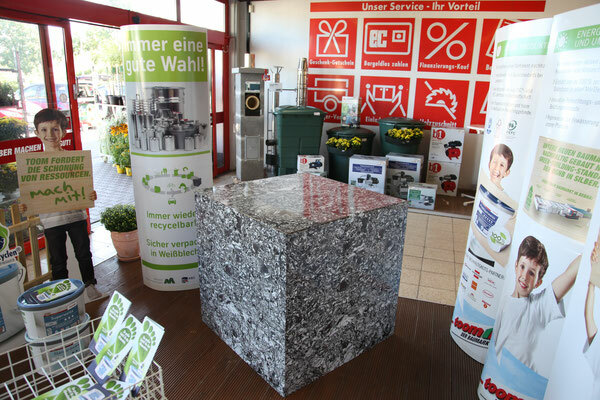 In Germany, around 94 percent of all tinplate packaging is recycled. More than any other packaging. 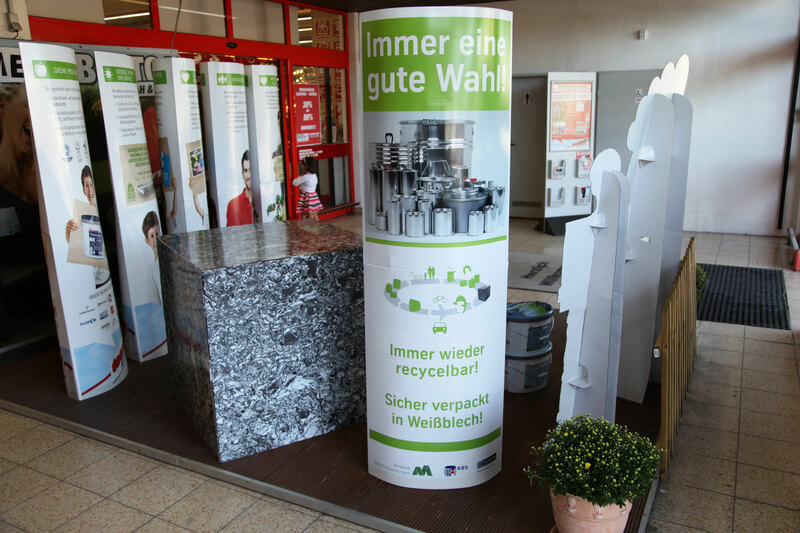 Toom Baumarkt has informed about the advantages of tinplate packaging as part of a nationwide action week focusing on sustainable products and the conscious use of natural resources.